Heat oven to 375°F. Separate dough into 5 biscuits. Place on ungreased cookie sheet. Sprinkle sugar evenly on tops of biscuits. Bake 11 to 15 minutes or until golden brown. Cool 5 minutes. 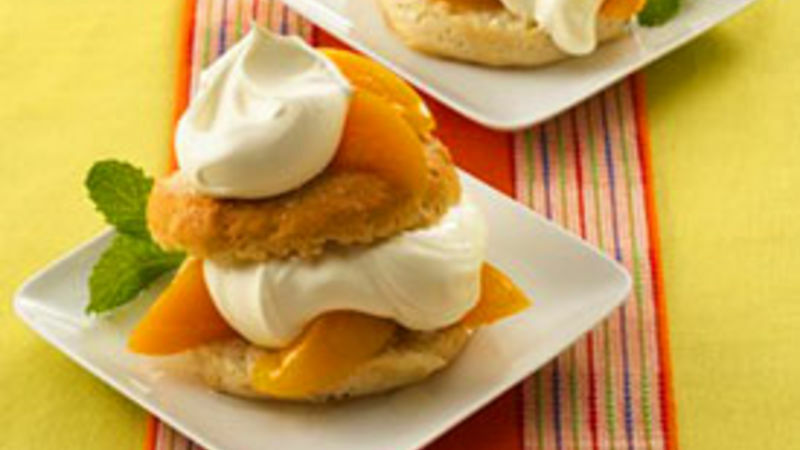 To serve, split biscuits; on 5 individual serving plates, layer with peaches, reserved juice and whipped topping. Sprinkle with cinnamon. Prefer ice cream? Substitute vanilla or cinnamon ice cream for the whipped topping.